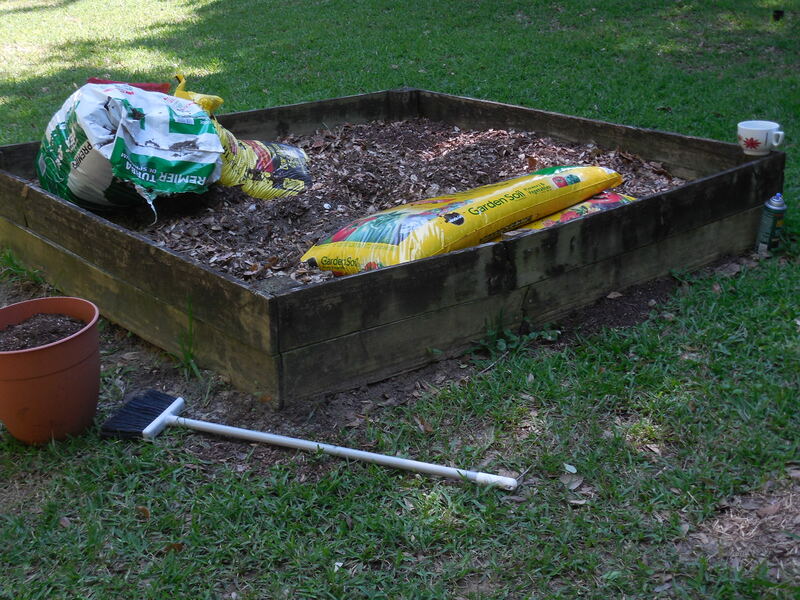 Florida Raised Bed Gardening- Spring Planting! Sometimes it’s fun to try something new. 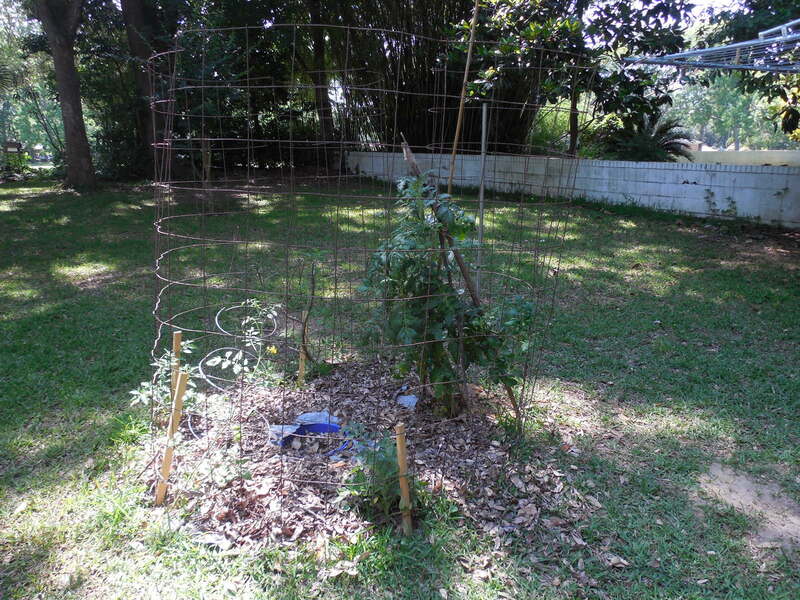 This year, in addition to having two raised beds, this gardener is growing tomatoes in a circle. 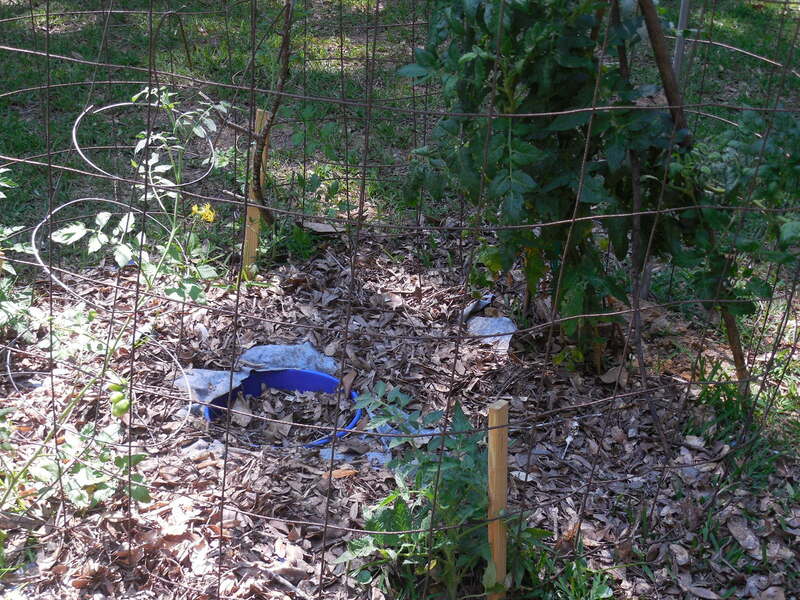 In the center is a partially buried five gallon bucket with compost in it and holes drilled in the bottom. As water is added to the top, it filters down though the compost, watering and feeding simultaneously. Compost is so good for the plants and is so easy to make! The beds are getting fresh soil, and one if them is gridded in classic square foot gardening style. The grid is new this spring, and it really looks organized and neat. The pepper plants you see in two of the squares were overwintered and are already producing peppers! It really is worthwhile to try to keep pepper plants alive over our mild North Florida winters, as they will produce in early spring that way. Pepper plants started from seed in the spring typically struggle along through the summer, then produce lots of peppers in the fall. I picked bagfuls last year and froze peppers for later. 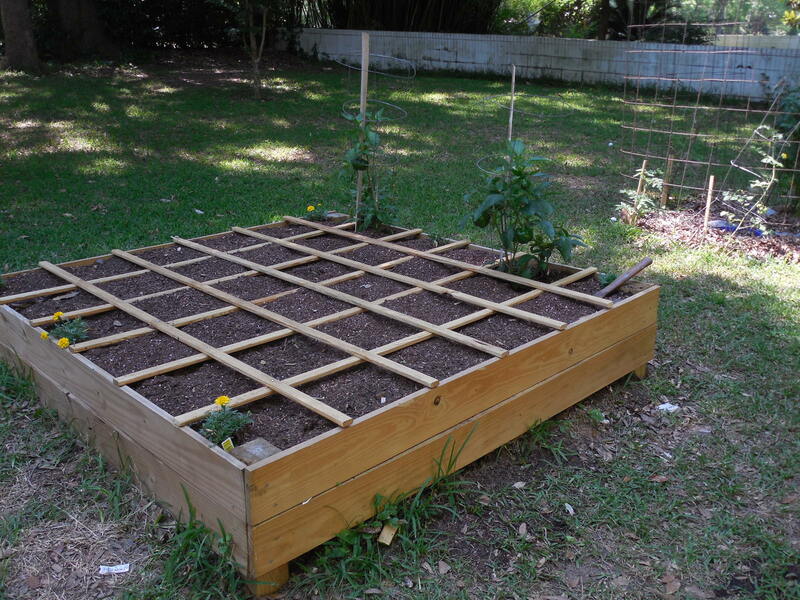 Raised beds produce quite well and require little space. If you’re interested in gardening in Florida, you can start anytime! Summer is coming and it is a good time to plant some of the heat lovers like basil, okra, eggplant, sweet potatoes, and black-eyed peas. If you’re interested in starting your own sweet potato slips for growing, I have a tutorial here. Also, did you know that sweet potato leaves are edible? More on that in this post. I’ll post more on what you can be doing now in the North Florida garden in my upcoming June To-Do List. Enjoy those fresh veggies! Hopefully it will be BLT season soon for you!